"ZORG" - Dutch word means CARE. "ZORGERS" means CARERS - The Healthcare Professionals. Find the right caregiver near you at the most affordable price- this is what made us incubate Zorgers( We- the Carers). Whether you are looking for elder, baby or medical care at home, journey of finding right care is never so easy. 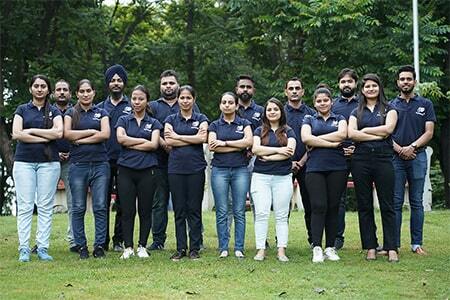 Our 4 years of experience as being managed service provider has made us learned a lot about care giving industry. When it comes to care, it s highly personal in nature and has to be affordable to be able to cater to masses. On demand side, you would find everyone having their own unique set of care requirements and on the other side of supply; caregivers have their own work preferences and skills. The way care giving industry has evolved; to be able to establish caretaker and caregiver relation and most importantly, to sustain this relation is never an easy task for any single provider. Like any business, technology has to play its role and the whole idea of Zorgers is to transform the way caregiving industry works. We are team of highly passionate and quality professionals who aspire to position India as global headquarters for Geriatric and Medical home care services. We believe in building customer feedback driven organization and that’s what is helping us give best in class care to our clients. Varun is an engineer turned first time entrepreneur. He had a long stint with Dr B K Modi lead Spice group company Spice Digital before venturing out Zorgers. He had been spearheading expansions of Spice group in North America, LATAM, SAARC, Middle East and Africa. His deep love for Indian healthcare story resulted in incubation of Zorgers. Currently, he is heading Zorgers in the capacity of CEO and oversees day to day operations, geographical expansions and investment plans. Abhinav is also an engineer turned first time entrepreneur. 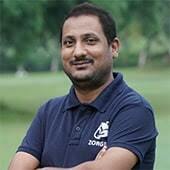 He has more than 12+ years Experience in product development for Financial and Telecom clients like PROXIMUS, ABN AMRO, BNP Paribas, AMEX, Fidelity Worldwide investments etc. He has served IT Giant Infosys for more than 10 years and his last assignment was with Fidelity Worldwide investments before venturing out ZORGERS. He has vast overseas exposure in client and program management. Abhinav is heading Zorgers in the capacity of Chief operating officer and oversees all hirings, training and field assessment protocols, technology roadmap of the organization and keeps a bull's eye on P & L of each unit. 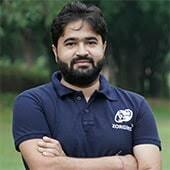 Anil is a MSc Post Graudate with about 7 Years experience in telecom space. He has worked for Spice Digital and Speak Wireless Prior to venturing out Zorgers. He comes from technology and product development background. 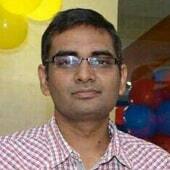 Anil is deeply passionate about the use of technology for organizing the service industry. Anil is currently heading Technology division and drives product development, digital marketing & mobile app initiatives.